Shedding light on what separates Evluma from the competition was Local Fresh’s primary focus when helping this Outdoor LED Lighting company launch a new, rebranded website. 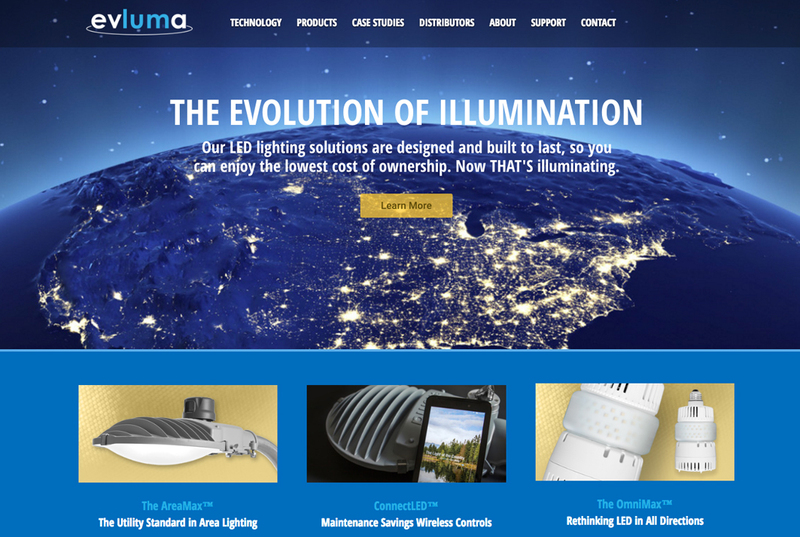 As a thought leader in the LED industry, Local Fresh highlighted Evluma’s many innovations in their field through the inclusion of case studies, white papers and a client resource center to the website. By improving Evluma’s lead generation funnel, Local Fresh successfully increased the number of potential new client registrations and resource downloads completed through the new and improved website design; further enabling the company to continue meeting its business goals of new client acquisition and industry leadership.